Rockets acquire Corey Brewer from Timberwolves in a three-team trade. 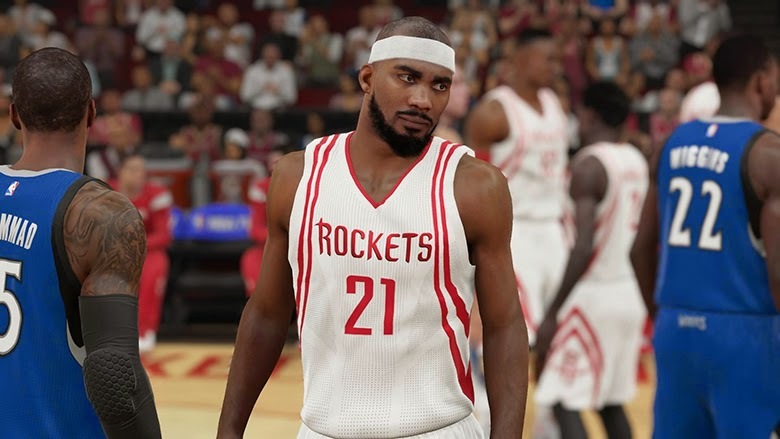 Today's roster update for NBA 2K15 includes the trades from Friday involving the Minnesota Timberwolves, Houston Rockets and Philadelphia 76ers. All injuries, lineups and rotations have been updated to reflect the most recent games. The Rajon Rondo to Mavs trade had been completed in a previous update. This latest one takes care of moves such as Corey Brewer and Alexey Shved to the Rockets, Troy Daniels to T-Wolves, and Ronny Turiaf to the Sixers. The latest roster for NBA 2K15 will be downloaded automatically as long as your Xbox One, PS4, or PC is connected to the Internet.